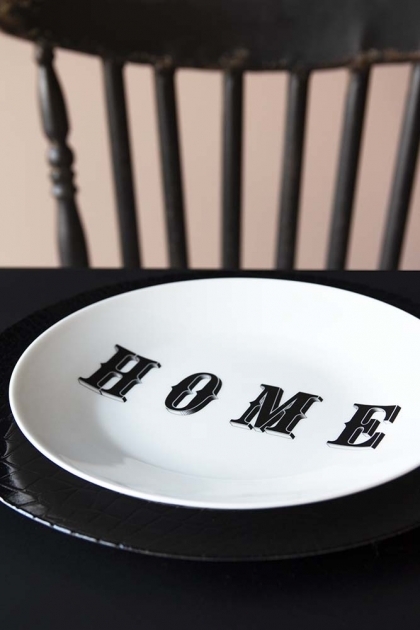 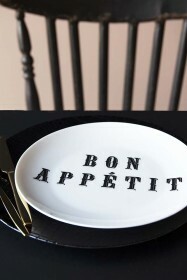 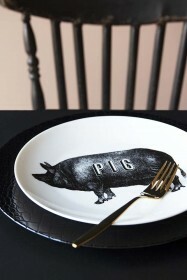 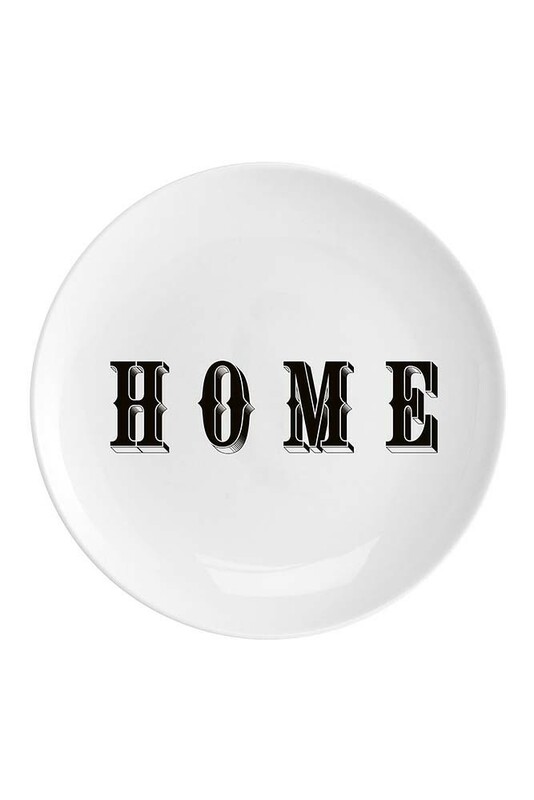 A beautiful fine china plate with a black Home graphic font the gorgeous plate will add drama, interest and personality to your dining and kitchen tables! 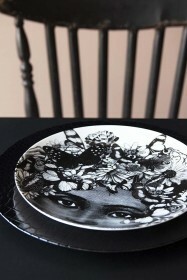 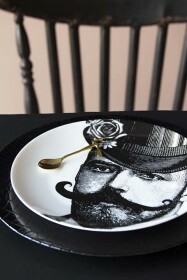 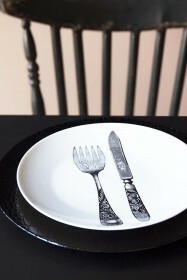 Alternatively, why not mount this beautiful Home Fine China plate on the wall? It will make a brilliant decorative addition to any picture or gallery wall in your hallways, living rooms, bedrooms and kitchens! 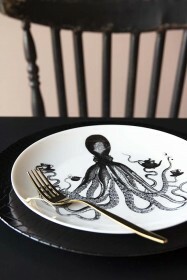 A great gift idea, the Home Fine China Plate is also available in an Octopus, Butterfly Lady, Knife & Fork Cutlery, Pig, Bon Appetit and Dashing & Dandy Gentleman design.